This is a laser refractive surgery that corrects Myopia (Nearsightedness), Hyperopia (Farsightedness), and Astigmatism. By now you have probably heard of LASIK, you probably know someone who had it done or considering having it done. You may also wonder just what LASIK is or what it may be able to do for you. LASIK stands for Laser In-Situ Keratomileusis. This is a laser refractive surgery that corrects Myopia (Nearsightedness) Hyperopia (Farsightedness) and Astigmatism. LASIK can improve your vision by gently reshaping the cornea (the surface of the eye) with a cool beam laser. An Ophthalmologist performs LASIK surgery. An Ophthalmologist is a Medical Doctor who oversees your eye care. The Eye M.D. will give you a complete eye exam prior to LASIK to check the health of your eyes. The Doctor will check your refraction (your glasses prescription), check both the front and back of your eyes. This includes the Cornea (the surface or watch glass cover of your eye), the Lens (the primary focusing component of the eye. The lens is where cataracts forms. ), and the Retina (the photographic film of your eye). In some practices you may see an Optometrist, who is an eye doctor that is not a Medical Doctor. The Optometrist may be involved with your pre- and postoperative care. 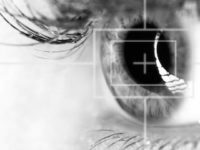 An ophthalmic technician will assist the surgeon (Ophthalmologist) during the LASIK procedure as well as an Engineer who is responsible for running the laser. An Excimer Laser produces a concentrated beam of cool ultraviolet light. This is the laser used to gently reshape the surface of your eye. Each pulse of this laser can remove a tiny portion of corneal tissue. An Excimer laser is so accurate that it cut a notch in a human hair. It does not generate heat and is gentle to tissue. Today’s Excimer lasers can track how your eye moves during the procedure. It is called pupil tracking. The pupil tracker monitors the vertical and horizontal motion of the eye. There are some lasers that also monitor the depth movement of your eye as you breath. A microkeratome is a microsurgical instrument that is used to create the flap on the cornea. It can make extremely thin, precise cuts. A Femtosecond Laser is a laser, which produces rapid pulses of light. Like a microkeratome, it can be used to create the protective flap. • Do not have stable vision. • Have an eye disease, such as advanced glaucoma or cataracts. • Are pregnant or nursing, or are planning to become pregnant in the near future. • Are uncomfortable with the idea that you may still need glasses or contacts after LASIK surgery. Sharp vision depends on many things. The parts of your eye work together to bend and focus light rays. If the cornea or the eye as a whole is not the right shape/length, light/images doesn’t focus correctly and your vision is blurry. Light enters the eye through the cornea, and bends light rays to help focus them. Light rays then pass through the pupil to the lens, which changes shape (accommodates) to aid in focusing these light rays. Light then reaches the retina. The retina sends signals to the brain, which tell your brain what you’re seeing. Myopia (nearsightedness) happens when is the eye “is to long”. Light focuses in front of the retina. Distant objects are blurry. Hyperopia (farsightedness) happens when light focuses behind the retina. Near objects appear blurry. As you get older you will notice that the distance will also be blurry. Astigmatism occurs when the light focuses in more than one place. This happens because the surface of the eye is not completely round. Both near and distant objects are distorted. Presbyopia is when you have difficulty focusing on nearby objects (i.e. reading). This phenomena starts to occur around age 40-50. This is because as we age the lens of our eye becomes stiff and can’t accommodate easily. LASIK can’t treat presbyopia. So if you are over forty you may still need reading glasses even after surgery. MONOVISON is an option for presbyopia. It is where LASIK is used to adjust one eye for near vision and one eye for distance vision. This option is not for everyone, so discuss it with your eye doctor. A trial period of monovision using a contact lens may help you decide if it’s right for you. • Test of refraction (your corrective lens prescription). This should be checked both before and after your eyes are dilated. • Measurement of your pupil. • A thorough exam of your cornea, lens and retina. • Topography (surface mapping) of your cornea. This shows your corneas exact shape. • Questions about your general health, eye history, and medical/surgical history. LASIK is a low pain/low discomfort level procedure. Your surgeon may give you a mild sedative (i.e. : Valium) to help you relax through the procedure. You will be taken in the laser room where your eye will be prepped for the surgery. A sticky plastic (a tegaderm) will be applied to both upper and lower lids, to hold your eyelashes out of the way. A local numbing drop will be instilled in your eye (this drop may sting a bit). Then the Ophthalmologist will put a lid speculum in your eye. This will hold your eye open for the procedure. You will be instructed to look at a focusing light. This is the light that you will try to keep looking at throughout the entire procedure. The doctor will then put a “ring” on your eye this will apply suction to your eye and your vision will go dim to black (this is desired and your vision should return immediately after the suction is turned off), then a protective flap is created on the cornea with a machine called a microkeratome. The doctor then lifts the flap and laser is applied to the exposed surface of the cornea gently reshaping it for better vision. The surgeon then lays the protective flap back down and smoothes it back in place. The speculum will remain in your eye for about 2 more minutes and then removed, as will the tegaderm be removed. One eye is now done and the team will readjust the table and repeat the procedure for the second eye. • Protect your eye from bumps and pokes. Don’t scratch, rub or touch your eye. • Use eye drops (preservative free) as directed by the surgeon. You may also be prescribed several kinds of drops. • Avoid wearing any eye makeup for 2 weeks. • Avoid swimming, saunas, hot tubs and pools for 2 weeks. Your surgeon may also have other restrictions for you related to other sports or activities. Wear sunglasses outside (Polarized are the best) to protect your eyes from UV light. • You may have blurry vision at first especially the first 24 hours. If you have vision problems, you may notice them more at night. • If you’re over 40, you may need reading glasses, even if you didn’t use them before.